How Does A Tampa Bay Business Stay Top of Mind? It's a fact. Unless a consumer remembers your business when it comes time to buy, then it is likely they will purchase from someone else. Staying top of mind, therefore, is critical for every Tampa small business owner who wants to grab a share of the area's $54-billion retail market. 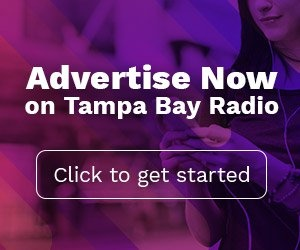 Advertising on Tampa radio provides local business owners with the most affordable way to move to the top of customers' minds. But, before discussing how to get remembered, we must understand why consumers forget. Every second, Tampa Bay consumers are exposed to 11,000,000 pieces of data. A consumer's brain, however, is only capable of dealing with about 50 pieces of this data at a time. So, if my calculus is correct, a consumer forgets approximately 10,999,950 things every second. Hermann Ebbinghaus was a German psychologist who, during the 19th century, pioneered the experimental study of memory. He is most famous for the discovery of the "Forgetting Curve". This curve demonstrates how rapidly the ability to recall information erodes over time. 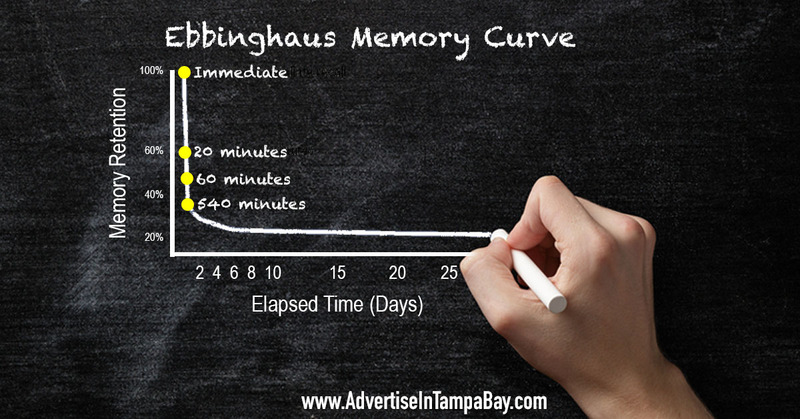 The Ebbinghaus Curve indicates that unless people make a concerted effort to remember, the ability to recall information drops by 40% after just 20 minutes. At the end of one day, recall drops to just about 25%. Quickly after that, recall diminishes into oblivion. What this science suggests is that to be remembered by potential customers, it is critical that Tampa Bay business owners advertise consistently. According to many local marketers, advertising on Tampa radio allows for that. Michael Hollander, owner of Weather Tite Windows in Tampa, knows it takes repetition to make his advertising work. "I discovered that on Tampa radio I could affordably purchase enough frequency to really have our brand sink into our target customers' heads," he says. "Ninety-two percent of the people who call," says Mr. Hollander, "tell us radio is the way they heard about us. The leads we generate from our radio ads cost us $4.00 each. That's almost half of what I pay for leads from other sources." Why is frequency so important? According to Ebbinghaus, repeated exposures to a message will increase recall. 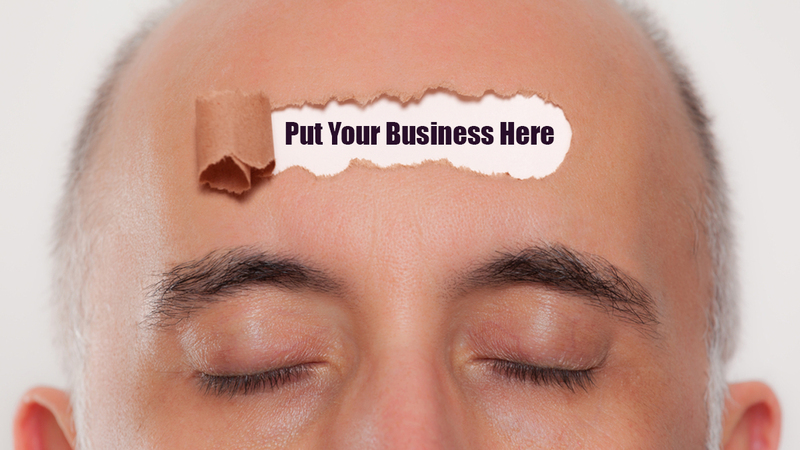 There is no magic number of exposures that will cement a memory in consumer's brains. Despite popular myth, the number is not three. According, however, to Erwin Ephron, the father of modern-day media planning, the more frequency, the better. "Today," said Mr. Ephron, "serious students of advertising understand there is no formula answer to the effective frequency question. They believe most exposures are reminders." A study by Nielsen, in fact, does indicate that when advertising on radio, higher levels of frequency create an exponentially greater lift to sales. The study, conducted over three months, revealed that a radio advertising campaign conducted by an auto aftermarket retailer delivered $21 in increased sales for every $1 spent on commercials. According to Westwood One, the company that commissioned the study, every exposure to the advertiser's commercial contributed to sales lift. The greatest lift derived from listeners who heard the retailer's commercial 7+ times. Many advertising experts, including Mr. Ephron, believe simple repetition is not enough. 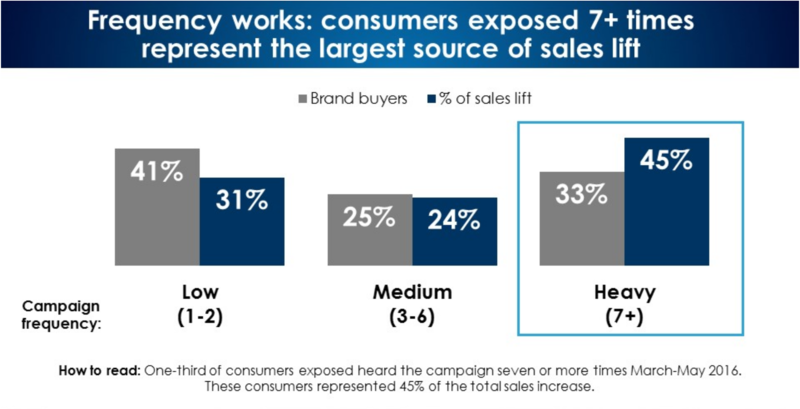 Because, according to Ebbinghaus, recall plummets drastically after exposure, advertising can become most effective when exposure to a commercial occurs within close proximity to the time of purchase. Mr. Ephron referred to this phenomenon as "recency." Another study, reveals that radio advertising is the best tool Tampa Bay small business owners have to achieve recency. Data provided to trade publication Inside Radio from cross-platform measurement service USA TouchPoints clearly demonstrates the link between radio and retail. According to the study, radio’s ubiquitous in-car presence is such that more purchases are made within 30 minutes of radio listening than are made after tuning to satellite radio, streaming audio and downloaded music combined. USA TouchPoints reports that 13% of the time that purchases were being made, radio was listened to in the same half-hour, compared to just 3% each for satellite radio and streaming audio. 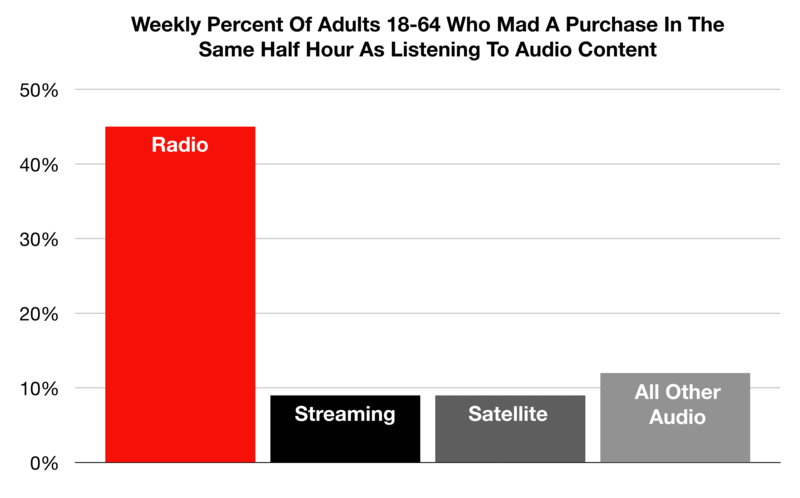 And 45% of the 18-64-year-old population made a purchase and listened to radio in the same half-hour during the week, which is five times higher than internet streaming audio." So, when it comes to being remembered by consumers who are ready to buy, the key for Tampa Bay small business owners is frequency and recency. According to research, the more of both, the better.